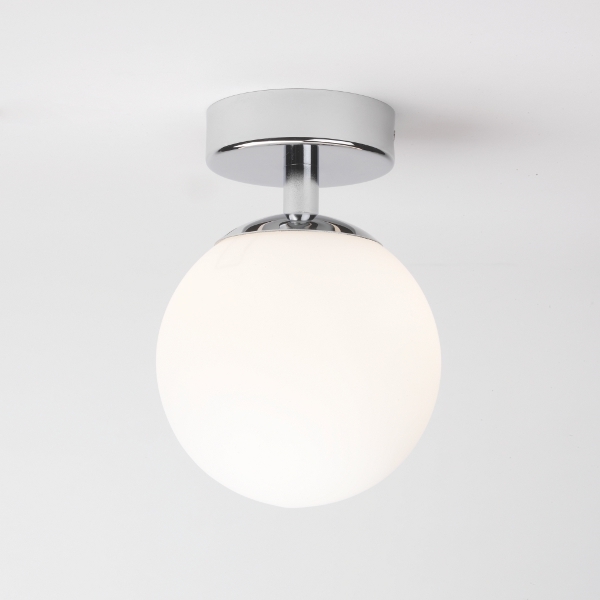 The small Denver is a simple and elegant ball of light for the bathroom ceiling. The ball of opal glass, with a base of polished chrome, provides gentle brightness and is protected thanks to the IP44 degree of protection against splashes. With a diameter of 12cm, it is ideal for small bathrooms or as part of a lighting group in larger bathrooms.